9 Ways You Should Imitate Nick Saban (Plus: Ways No One Should) — Huddle, Inc.
Tonight’s College Football National Championship game features the top two teams in the country – the 14-0 University of Alabama Crimson Tide and the 13-1 Clemson Tigers. It’s a rematch of last year’s championship game... won by Alabama. The polarizing head coach of the Crimson Tide is Nick Saban. And the rest of the football nation? 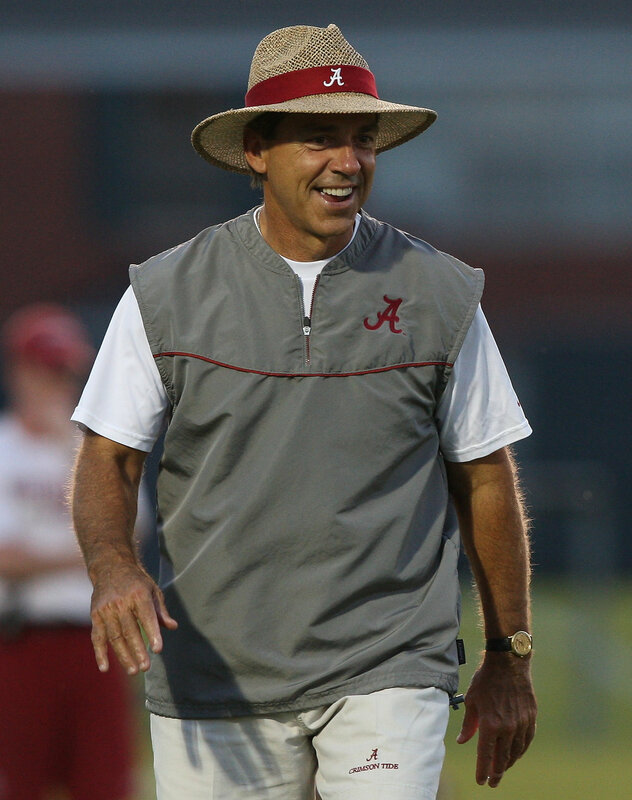 Saban is a perplexing enigma that makes half of me want to be like him while the other half wants to vomit in disgust. But, You Can’t Deny Saban’s Success. Nick Saban has won five national championships, including one with LSU in 2003 and four with Alabama in 2009, 2011, 2012, and 2015. Saban is only one national championship away from tying the legendary Alabama football coach, Paul “Bear” Bryant, with six. I had the pleasure of hearing Saban speak live at a Leadercast event in Atlanta in May 2016. And I just finished reading an in-depth biography titled Saban: The Making of a Coach by Monte Burke this past weekend. What about you? I’ll share what I’ve learned and let you decide. 1. Focus on your mindset. What is important right now? 2. Develop a process. This defines what you need to get done and the results you want. 3. Embrace a tremendous work ethic and discipline. You need discipline to execute. 4. Identify and improve the skills you need to win. 5. Expect that there will be obstacles. This will help you have a better attitude. 8. Realize that success isn’t guaranteed and has to be earned every day. 1. Don’t be discontent. It leads to an unhappy life. 2. Don’t ignore your family and friends. Humans are meant to be in community with their loved ones. 3. Don’t be too sensitive. Always worrying about what other people think is a real drag and will rob you of joy. 4. Don’t forget to stop and smell the roses of success and accomplishment. Enjoy life a little! 5. Don’t be obsessive. Your mind needs time to relax. 6. Don’t be uptight. No one enjoys being around someone who is always annoyed or angry. 7. Don’t suffer from a lack of trust. Work with great people and have faith in them. 8. Don’t always think there is only one way to do something. Others may surprise you by creating a better way. 9. Don’t think you can control everything and everyone. Because you can’t. So there you have it. The good and the bad of Nick Saban. His accomplishments can’t be questioned. His treatment of people can. But like most, Saban has qualities to be admired and imitated and others to be avoided. You get to decide the person you want to become. No one else does. Newer PostHappy Anniversary! A 4-Step Guide to Celebrating Client Relationships.